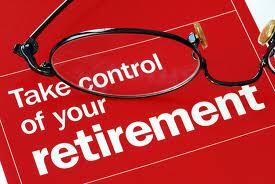 SCD Group: If you are an association executive, are you prepared for retirement? If you are an association executive, are you prepared for retirement? Is your staff? Are your members? Nearly two years ago I sold my AMC. It was a couple of years earlier than I had planned but ... Selling my company begged the question: what next? After the 90 day transition, I was out of the office and into a home office. I went from working 60 hours a week to consulting, blogging and volunteering. What does this mean to you and your association? Are your members pushing 50 years or older? Is your staff mostly Baby Boomers? I thought of all this when I read Rodney Brooks column in USA Today. First, retirees without any kind of a plan are just going home to their spouses with nothing to do and causing stress in their marriages. "We are the first generation who is going to live 30 years in retirement," says Frank Maselli, who is based in Raleigh, N.C. "We are not prepared financially or emotionally. It will be a major issue." Second, people who have been working for 30 or 35 years are suddenly home with absolutely nothing to do. "You lose a ready-made social network," says Robert Bornstein. "We don't think about it that much. Much of your daily social contact comes from the office. When you are no longer going into the office, it's not uncommon for people to discover that they have few or no friends." As one person is turning 65 every 8 seconds, this is a big issue for associations. If your members are mostly Boomers, think of the benefits you could provide your members if you offered sessions on this topic at your conferences or provided stories on the topic in your newsletters, blogs or other publications. If your staff are mostly Boomers, think of the value if you offered in-service training on this topic. From personal experience I can tell you that this is a major topic. Don’t ignore it!